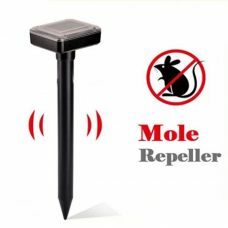 Solar Power Ultrasonic Repeller made to protect house, garden and backyard from the wild animals, pest like rats, mouse and molts, birds. 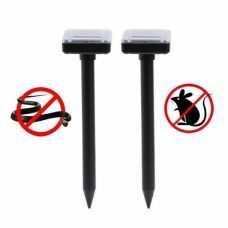 The Product is especially effective to struggle with mice by emitting a sonic pulse which mice feel as a vibration transmitted through the ground. For mice perception it indicates as a dangerous zone and they avoid this particular area. The Product operates this way. 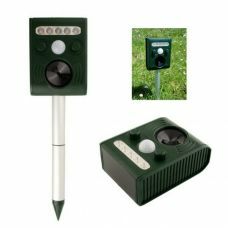 When the PIR sensor detects motion, the LED light will flash for 3 seconds and the Ultrasonic signal will run for 15 seconds. After that the Repeller will return to stand-by mode. 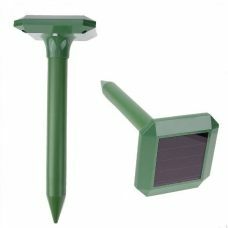 Ideal for: organizing protection of house, backyard, garden, and balcony, farm and other remote areas that does not have electricity from birds and especially bats. 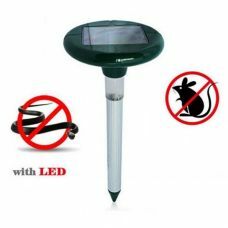 For whom: for people who looking for highly efficient way of organizing protection of private property from the wild animals, pest like rats, mouse and molts, birds without Toxic Chemicals and Poisons, but with Environment-Friendly Green Source of Solar Power Energy. - Effective within an area of up to 1000 square meters. 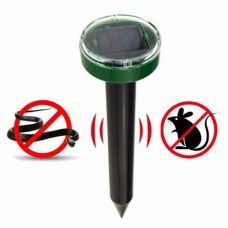 1 x Solar Animal Repeller. 1. Unpack the Unit completely and confirm that all parts are present. 2. Connect the Repeller head, pole sections, connecting part and ground stake. 4. The PIR Repeller is designed to be Turned ON continuously. 5. Once Turned ON, the LED light and Ultrasonic signal will activate for 15 seconds. Following this activation, the Product will move to stand-by mode. 6. The Repeller is now ready for installation. The location should allow adequate sunlight to keep the batteries fully charged. Make sure that the area that does require protection is within the effective range of the Repeller. 7. For best results, keep the Repeller head roughly 9-10 inches above ground. 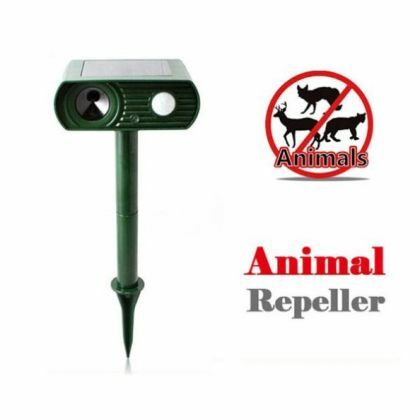 - To get the best results, Animal Repeller should operate continuously. - Do not immerse Animal Repeller in the water. - Do not cover-up the PIR sensor. - For cleaning Repeller use a damp-soft cloth and mild soap with water. Do not use harsh chemicals or abrasive cleaning agents that may damage the repeller.